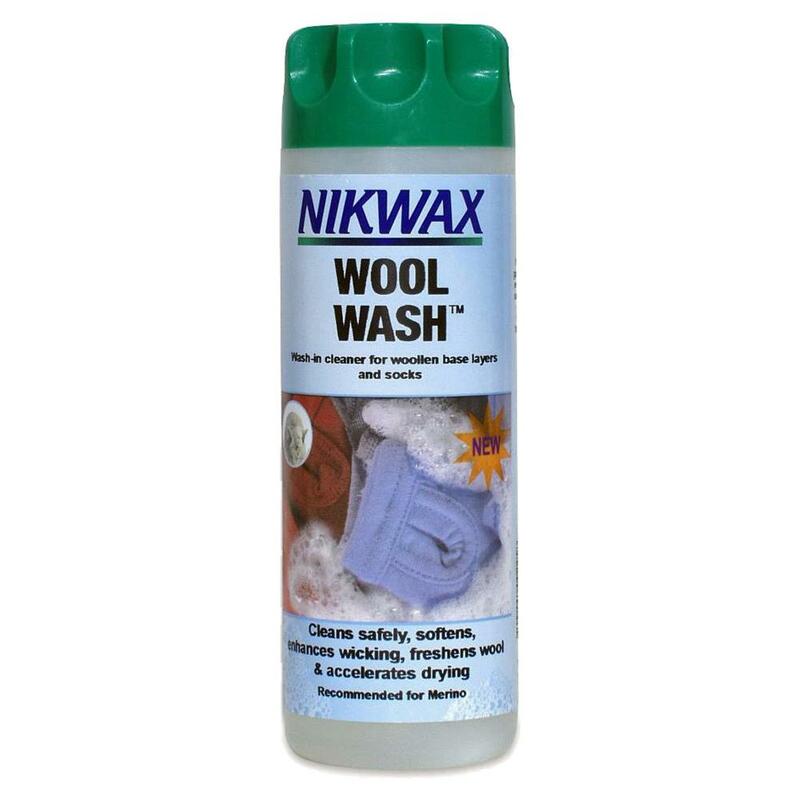 Nikwax Wool Wash is a deodourising cleaner and conditioner that cleans, freshens and softens technical woolen underwear and wicking clothing which is worn next to the skin. It helps to speed up drying and improves the cooling efficiency of base layers made from wool. Use neat Nikwax Wool Wash™ to treat stubborn stains before washing. * For top loading machines in USA and Canada use 100ml for low water level, or 150ml for medium water level. There are currently no questions for Nikwax Wool Wash - be the first to ask one!